Whangarei Harbour frae Mt.Parihaka wi Onerahi, Sherwood Rise, Parihaka an Port Whangarei in view. 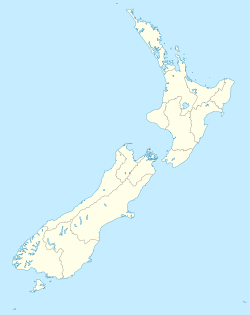 Whangarei (/ˌfɒŋəˈreɪ/ is the northmaist ceety in New Zealand an the regional caipital o Northland Region. Wikimedia Commons haes media relatit tae Whangarei.